While all the buzz is about the new Apple Watch, I've been wearing my G Watch by LG since Christmas (thanks to the Husband). I get asked about it all the time, especially when volunteering with children. They are always up on the latest gadgets! I'm not a gadget person, but I see watches as a natural extension for technology. Many people already wear or grew up wearing a watch. Many are willing to spend a lot of money on watches as jewelry, as a show of wealth or just for fun. The watch doesn't get in the way, it's just there. I don't have to get it out of my pocket or purse. The G Watch doesn't buzz or ring, it lightly vibrates when it wants my attention, and I like that. It's polite. "Navigate to..." Trader Joe's, Target, Anne's Home, you name it - I prefer this for navigating instead of looking at my phone while driving. "Text..." Any of my contacts - It's best for quick texts, because I find it misunderstands me more than my phone's voice commands. So I save it for "Text Anne... On my way", "Running late", etc. "Set alarm for..." 1 hour, 6:45am, Tomorrow at 8pm - this is the quickest way to set a reminder and I use it often. 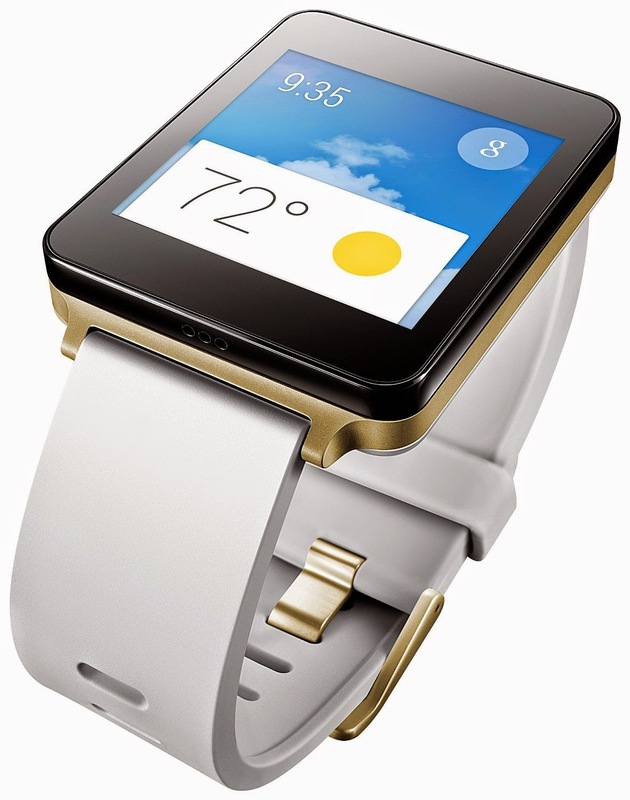 You can purchase the G Watch right now on Amazon for $159, compared to the reported $549 price of the Apple Watch. Hey, nice post! I liked this watch and I wanted to buy it but someone told me it had some problems so I decided to get some expert review before taking any steps. Great post! Thanks! Smart Watches in Pakistan are not that common and people are still unaware of many features to look up before purchasing a smart watch.